According to the revered poet Virgil, the first Greeks arrived in Italy after fleeing the Trojan wars about 3,000 years ago. In his epic poem, the Aeneid, Virgil recounts how Trojan hero Aeneas travels across the Mediterranean, through the Bay of Naples and finally to Lazio where some how he romantically, if slightly ambiguously, founds the city of Rome. Much of the Aeneid can be read as Roman propaganda, a way of linking the triumphs of Greek civilization to the manifest greatness of Imperial Rome. Virgilian jingoism aside, we do happen to know that Greek mariners began arriving in the modern day Region of Campania around the same time Aeneas was epically traipsing through the Mediterranean and that these same Greeks were instrumental in cultivating the civilization that would form the intellectual and aesthetic foundations of the Roman Empire. Most of these Greeks, in fact were not located in Rome but around the Bay of Naples, an area still affectionately referred to as Magna Grecia, Greater Greece. Evidence of this ancient world is profusely littered across Campania, most famously at the archeological ruins of Pompeii. Every year, 2.5 million people visit Pompeii making it not only one of the top tourist destinations in Italy, but likely one of the most famous archeological sites in the world. 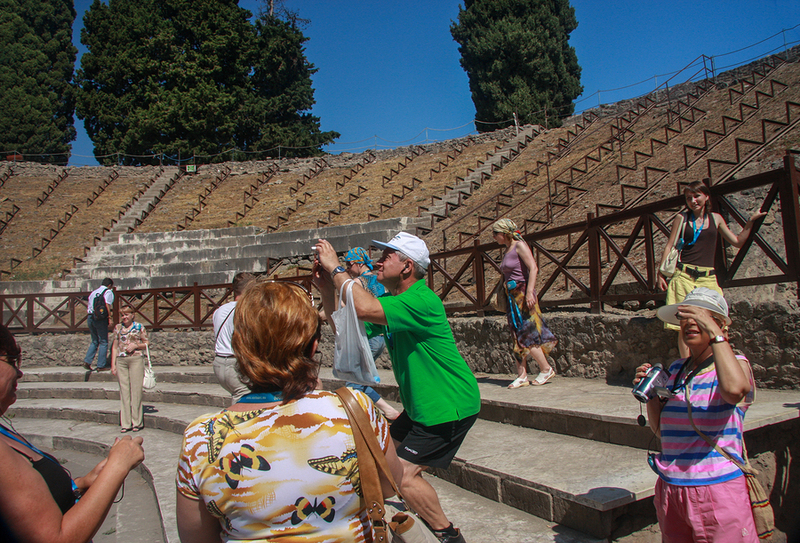 In recent years, Pompeii has become crushed under the weight of all these tourists. 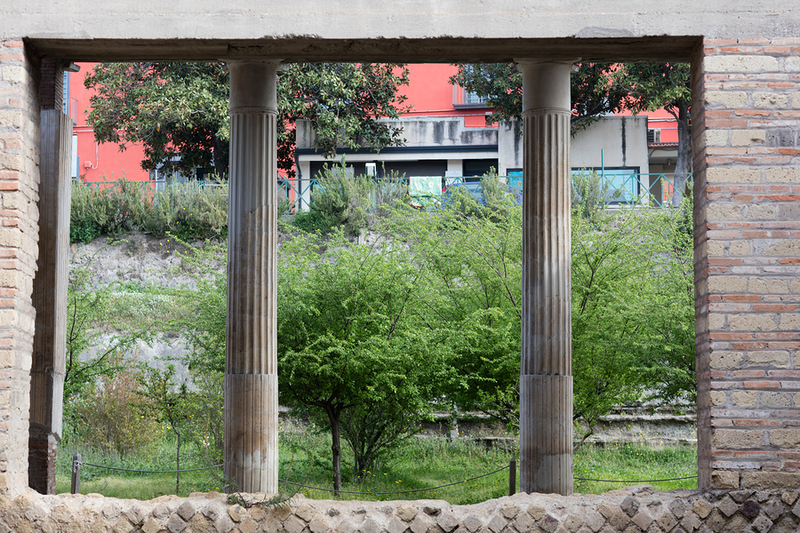 Notably, due to poor maintenance and mounting tourism, an ancient gladiator school on site collapsed in 2010, causing much bureaucratic finger pointing and calls for private sector sponsors of the Pompeii ruins. One can only imagine the Nutella-Ferrero Roche Acropolis or the Ferrari Gladiatorial School or the Berlusconi Lupanare! That is not to mention the particularly insalubrious challenges of visiting Pompeii on a crowded, often hot day. Local transport on the Circumvesuviana train is soul crushing. Visitors dart around the archeological site, their ears firmly plugged with multi-lingual, incomprehensible audio guides. Cruise ship tour directors bop around with effigies of Mickey Mouse protruding from wood sticks. Amidst this vexingly anachronistic hullabaloo, the whole experience of visiting Pompeii can quickly degenerate into a maddeningly vapid excursion into the depths of hell, with Mickey rather than Virgil as one’s guide. But there is no reason to hastily give up on the archeological treasures surrounding Naples and the Region of Campania. While Pompeii may be the most bone crushingly famous, many other sites offer a more nuanced and thankfully less crowded glimpse into the ancient world. As with Pompeii, the 79 AD eruption of Vesuvius covered the Villa Oplontis in a layer of volcanic ash forever preserving this elite Roman holiday residence. Located in Torre Annunziata and bordering the modern town of Pompeii, this archeological site boasts pristinely preserved frescoes, baths and atriums without the crowds of her nearby sister ruins. 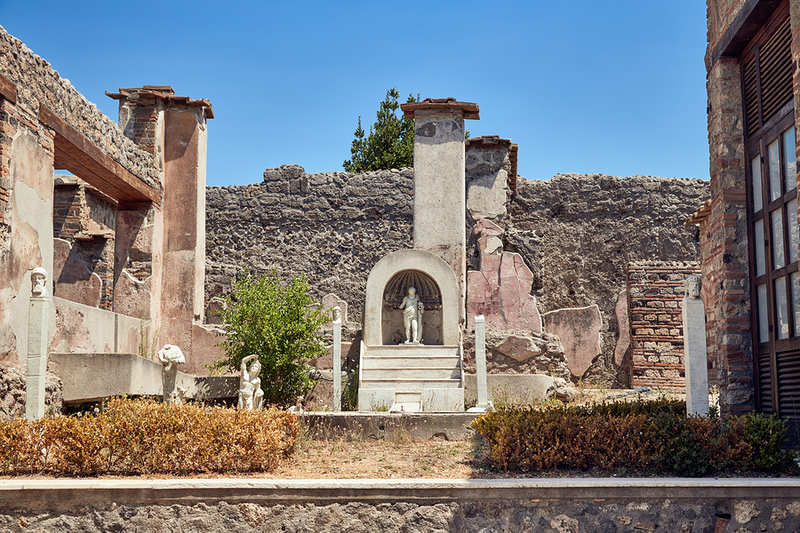 Also known as Villa Poppaea, the residence is thought to be the summer home of Poppaea Sabina, the second wife of Emperor Nero. What makes this archeological site unique is the glimpse it provides into classically revered Roman residential architecture. Also, there are no hoards of visitors here. To reach Villa Oplontis, take the Circumvesuviana train from Napoli Central Station in the direction of Sorrento and exit at Torre Annunziata station. Admission is 7 Euro and the Villa is open everyday from 8:30-17:00 from 1 November to 31 March and from 8:30-19:30 from 1 April to 31 October. One thing that becomes unmistakably clear when meandering through Vesuvian archeological ruins is how much those Romans loved to bathe. Patricians and plebeians, ladies and gentlemen, gladiators and senators all enjoyed a good shvitz and sprtiz. No more is this clearer than at the thermal baths of Stabia. 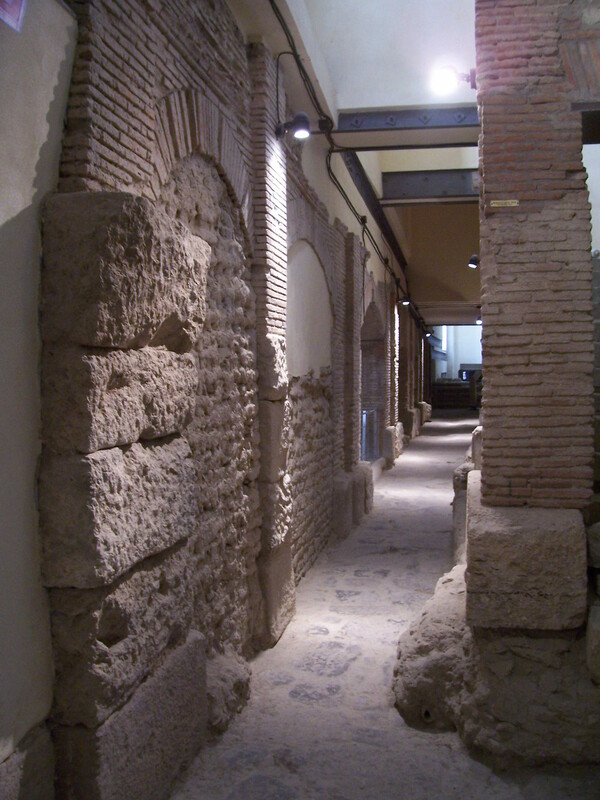 Follow in the steps through the ancient Roman spa-goer as you walk through changing rooms, hot rooms, tepid rooms, cold rooms and lounge rooms. If only these volcanic walls of yellow tuff could talk. To arrive take the Circumvesuviana train from Napoli Central Station in the direction of Sorrento and exit at Pompeii Scavi. Admission is free but requires advanced reservation by contacting +39 06 399 67 850 by whatsapp. Venturing away from Vesuvius and into the heart of the Campi Flegrei, named for a burning underground caldera outside of Naples, one can explore the once burgeoning ancient Greek seaport of Rione Terra. 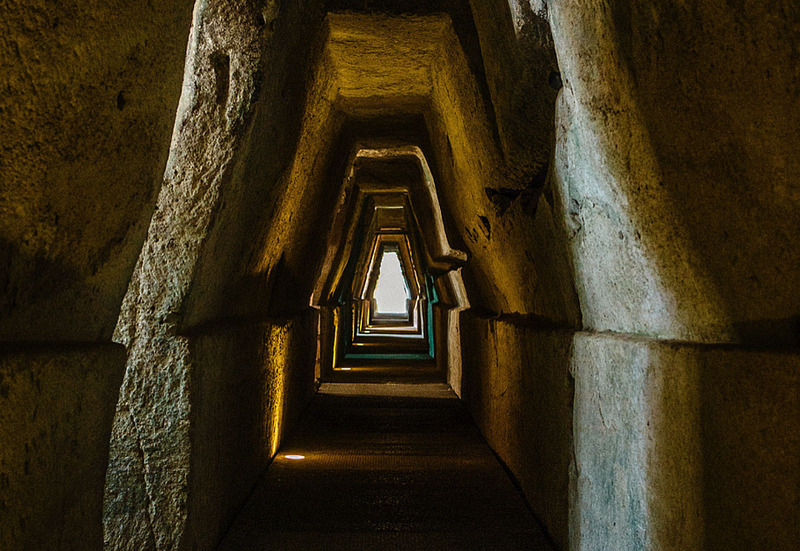 In the town of Pozzuoli, also ancestral home to screen siren Sophia Loren, Rione Terra is a brilliantly preserved underground city- merely built upon over the centuries by generations of subsequent inhabitants. To arrive, take the Cumana train from Napoli Montesanto Station in the direction of Torregaveta and exit at Pozzuoli. Guided visits are 5 euro and require advanced reservation by contacting +39 081 199 36 286. Like this article? 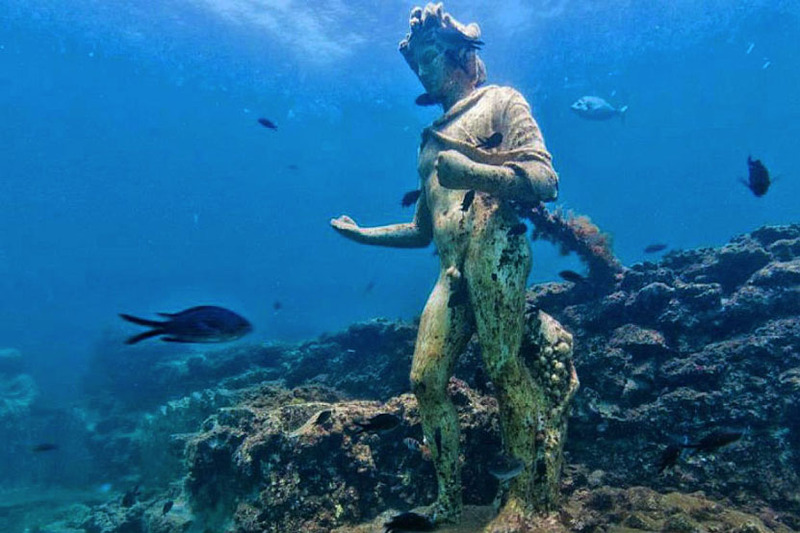 Don't miss "Exceptional Discovery in Pompeii: The ‘Last Fugitive'"
A visit to the sunken city of Baia is not for the faint of heart - it is underwater! Baia was once a bustling summer resort destination during the height of the Roman Empire, hosting the likes of Cicero and Nero. While it escaped the demise of Pompeii, remaining in tact after the AD 79 Vesuvian eruption, years of neglect, pirate raids and ultimately rising sea levels and volcanic vent exposure caused the remains of thins once wealthy city to simply sink into the sea. One can visit by glass bottomed boat or scuba expedition by emailing baiasommersa@gmail.com. Not unlike a certain Beyoncésong, women ruled the ancient world! Female oracles, known as Sybils were revered visionaries from whom ancient politicians, poets and emperors (MEN!) sought wisdom and council. The most holy and ancient of these Sybils was based in Cuma on the Bay of Naples. She in particular was considered the guardian of the underworld, the entrance to which is connected through a series of tunnels to the nearby Lake Avernus. Today you can visit the Cumaen Sybil (or at least her cave) at the Archeological Ruins of Cuma. Be sure to ask her who Becky with the good hair is and whether Jay-Z is really a member of the illuminati. To arrive take the Circumflegreana train from Napoli’s Monte Santo Station in the direction of Torregaveta and exit at Cuma. Admission is 4 Euro and the park is open Monday through Sunday from 9AM until sunset.